Congratulations are in order for Tiger Shroff, whose Baaghi 2 successfully completed the first week at the box office. 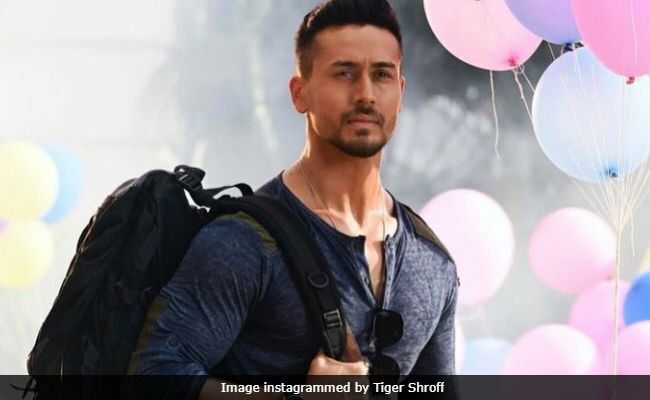 Tiger Shroff's Baaghi 2 collected Rs 112 crore in seven days to become 2018's "second highest grosser," reports trade analyst Taran Adarsh. "Baaghi 2 has an extraordinary Week #1. Emerges second highest grosser of 2018 (so far)... Weekend 2 will shed light on its approximate lifetime business," he tweeted. Baaghi 2 started its journey on a grand note by achieving the highest opening day collection figure (Rs 25 crore). Baaghi 2 is directed by Ahmed Khan and it featured Disha Patani opposite Tiger. #Baaghi2 has an EXTRAORDINARY Week 1... Emerges SECOND HIGHEST GROSSER of 2018 [so far]... Weekend 2 will shed light on its *approx* lifetime biz... Fri 25.10 cr, Sat 20.40 cr, Sun 27.60 cr, Mon 12.10 cr, Tue 10.60 cr, Wed 9.10 cr, Thu 7.95 cr. Total: 112.85 cr. India biz. The overseas collection of Baaghi 2 is quite promising as well. Taran Adarsh tweeted: Baaghi 2 surprises in the international arena. Action films find limited patronage in several markets overseas but Baaghi 2 has packed a punch internationally too. Crosses $5 million mark." The week #1 total was Rs 32.69 crore. "This one's a universal hit," he added. #Baaghi2 surprises in the international arena... Action films find limited patronage in several markets Overseas, but #Baaghi2 has packed a punch internationally too... Crosses $ 5 million mark... Week 1: $ 5.03 million [ 32.69 cr]... This one's a UNIVERSAL HIT! After a glorious first wee, Baaghi 2 will compete with two new releases Irrfan Khan's Blackmail and Tabu and Manoj Bajpayee's Missing. Both films have opened to much better reviews than Tiger's Baaghi 2 did last week. However, Baaghi 2's damp reviews did not affect its ticket sales. Baaghi 2 is a remake of Telugu film Kshanam and it also starred Randeep Hooda and Manoj Bajpayee. Baaghi 3 is already on the cards as the makers announced the third installment before the release of Baaghi 2.